Supporting and empowering women one bag at a time, MayaBags® brings a handmade-design driven accessories collection, inspired by nature and crafted with the artisanal skills and spirit of the Maya. 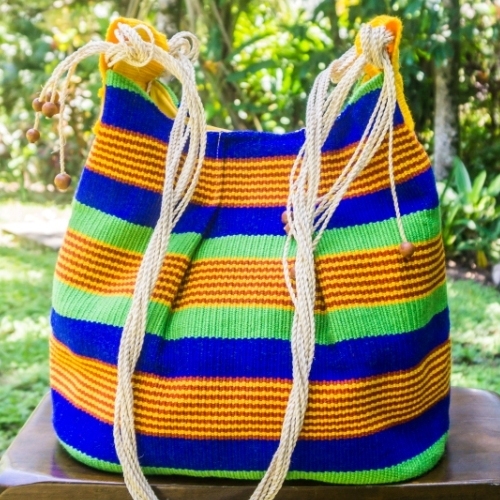 MayaBags® was founded in 1999 by Judy Bergsma, Jovita Sho, Desiree Arnold and five additional Maya artisans from different villages in the Maya Mountains of Belize. Today the MayaBags talented team of shareholder/artisans has grown to over 90 Maya artisans.